The album may or may not be obsolete, but the fact remains: Listeners have long obsessed over individual songs. The Single File is The A.V. Club’s look at the deep cuts, detours, experiments, and anthems that make us reach for replay. 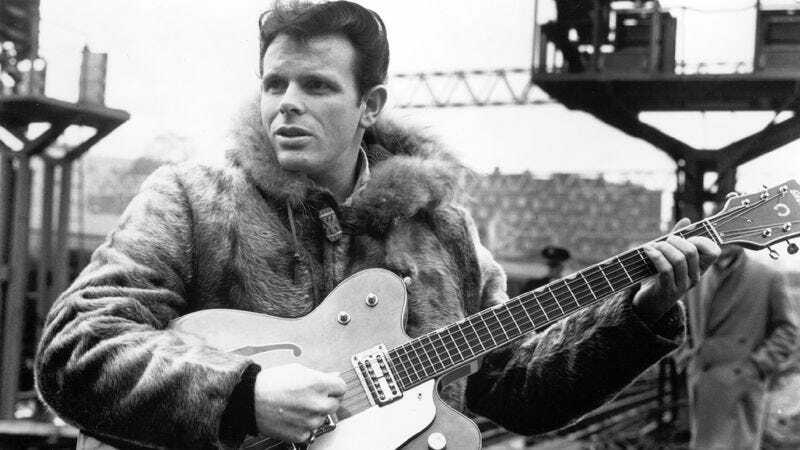 The last show Del Shannon ever played took place on February 3, 1990, in Fargo, North Dakota. It was a memorial concert for three of Shannon’s contemporaries—Buddy Holly, Ritchie Valens, and J. P. “The Big Bopper” Richardson—who had died in a plane crash on that day, 31 years prior. Later that week, Shannon’s wife found him in a rocking chair in their California home. He was in his bathrobe. Next to him was a .22 caliber shotgun. Above his right temple was the self-inflicted wound that killed him. Few songs in popular music are so enduring yet ethereal. “Runaway” is a moody song for a brooding scenario, one that seems to instantly sublimate into a glum, haunting fog. Written by Shannon and his keyboardist, Max Crook, it outlines in tear-streaked detail a guy who’s lost his girl. Guys losing girls is a primary preoccupation of pop songwriters, then and now, but “Runaway” nudges that theme to a preternatural level. “As I walk along I wonder / what went wrong,” he begins the song, not bothering to mention where he’s walking or why. That ambiguity conjures an air of mystery that’s soon replaced with clouds of dread: “I’m walking in the rain / Tears are falling, and I feel the pain / Wishing you were here by me / To end this misery.” His girl, of course, has left him. But rather than fixating on the possible reason behind her departure, Shannon frames it in the murky terms of an agony-stricken man wandering the world, searching for the woman who disappeared without a trace. “And I wonder / I wah-wah-wah-wah wonder / Why / Wah-wah-wah-wah why / She ran away,” he wails like a disembodied spirit. The answers don’t come. Only more rain. There’s a hackle-raising edge to Shannon’s guitar-playing; even as his voice climbs to a banshee-like whine, he draws out minor chords as if he’s probing his own broken heart. The not-so-secret weapon of “Runaway,” though, is its keyboard. Crook joined Shannon’s band in 1959, and soon after he began toying with a riff on his Musitron, a self-built version of the clavioline that served as a precursor to the analog synthesizer. Modifying the instrument with spare parts from television sets and household appliances, Crook used his invention to turn his riff into the spooky, unsettling hook of “Runaway.” And then there’s Crook’s spectral solo—a piercing, otherworldly approximation of Shannon’s horrific despair. The Twilight Zone was at its height of acclaim and popularity in 1961, and it’s easy to imagine “Runaway” crackling from the speaker of a living-room radio as ghostly second-season episodes like “King Nine Will Not Return” flicker in the background. The moody, minor-key motif became Shannon’s gimmick and his prison. Although he had a handful of lesser hits throughout the ’60s, most of them—even excellent tracks like “Handy Man” and “Stranger In Town”—roughly followed the “Runaway” formula. The most notable exception is Shannon’s 1964 version of “Do You Wanna Dance,” an anthem to dance-floor abandon that ultimately passed the litmus test for upbeatness: The Ramones also covered it. The acclaim never stopped coming. Those who have covered “Runaway” over the decades include Elvis Presley, Small Faces, Bonnie Raitt, Traveling Wilburys, Screeching Weasel, and Kasabian. In Tom Petty’s 1989 song “Runnin’ Down A Dream,” he pays Shannon a loving tribute: “I had the radio on / I was driving / Me and Del were singing, ‘little runaway.’” A decade prior, Petty produced Shannon’s comeback album, 1981’s Drop Down And Get Me, which featured Shannon’s final hit: a sturdy yet tired rendition of the oldies classic “Sea Of Love,” with Shannon backed by The Heartbreakers. Nine years after his 1990 suicide, Shannon was inducted into the Rock And Roll Hall Of Fame. After a mumbling yet heartfelt introduction from Art Alexakis of Everclear, Bonnie Raitt and Billy Joel each played distinct covers of “Runaway,” with Joel’s version being faithful to, yet far peppier than, the original. Even during his forays into sock-hop-worthy material, Shannon had a longing, despondent note to his voice. He’d suffered from alcoholism and depression most of his life, although he’d reportedly been on the mend just before his death—not that his prescription to Prozac did anything to keep his finger off the trigger. Only a troubled, lonely soul, one with an intrinsic hint of dissonance to it, could have penned and sung something as strange as “Runaway.” He didn’t go down in a blaze of legend like Holly, Valens, and The Big Bopper. But Shannon’s career effectively perished around the same time—and like the lost protagonist of his greatest song, he just kept wandering the earth, wondering what went wrong.